Kids are in their element when playing sport. Running around with their teammates, safety is often an afterthought in the excitement of a live game. Parents have to be especially vigilant when their kids are playing contact sports, and though children’s orthodontics may not be at the front of many parents’ minds, thinking about it before it’s too late could save you a lot of stress and money in the long run! Research into children’s orthodontics and contact sports has shown that orthodontic protection from a young age in budding sports stars can prevent much bigger, and much more expensive problems as they get older. Sports-related oral injuries can vary from the not-so-serious to the run-to-the-dentist-now sort of serious, and when it comes to contact sports, the odds of the latter increase dramatically if the appropriate protection hasn’t been taken. Broken teeth, dislocated teeth, tears and punctures inside the mouth are the most common injuries dentists and orthodontists see in children who play contact sports. These are all relatively simple to remedy but if left unseen they can cause long-term problems for your little ones. The Irish Health Repository conducted extensive research into the use of mouthguards and dental injuries in sports across school children, and delivered some interesting data: 10% of parents had children who had experienced a sports-related injury in the previous year, and 52% of those injuries were teeth-related. Of all the children who took part in the survey, only 22% actively made sure to wear mouth protection while playing their given sport. Not only does this show a lax approach to safety in children’s sport, but it has more serious ramifications: if children’s oral injuries are left unchecked, they can develop into speech impediments and cosmetic problems that create body-image and confidence problems later on in life. The solution to these problems is incredibly simple. Mouthguards are a sports person’s best friend, keeping his or her teeth unbroken and smile bright throughout their time on the field. We’ve all seen the famous boxers, rugby and hockey players with their wonky teeth and gappy smiles, and while these features may endear them to us even more than their sporting prowess, you can bet it has given them some confidence problems in the past. 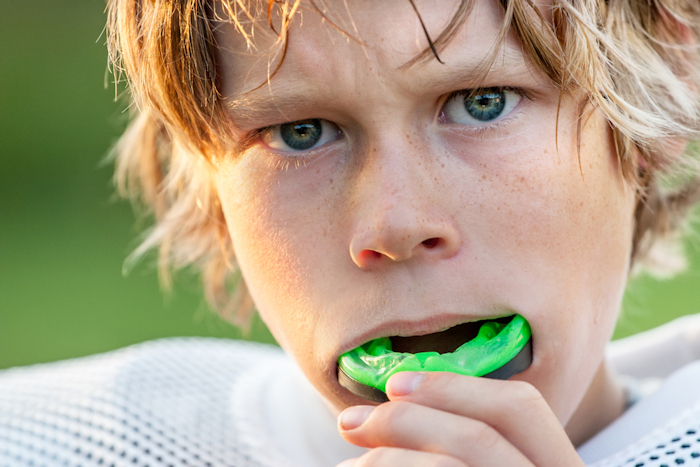 Mouthguards seem simple, but they need to be expertly measured and designed to fit your mouth; this is especially important in children, since their mouths are still developing. By visiting a reputable orthodontist, you will be able to get world-class advice on oral safety in your given sport, and would be measured and examined for your mouthguard fitting. Mouthguards are made from a rubber-like material which is designed to fit your exact mouth shape and bite. It serves to protect your teeth from impact, exterior damage and stops your teeth from puncturing your tongue or cheeks when active. All in all, it is a simple piece of kit that prevents serious problems later in life, and is incredibly important for young budding sports stars. 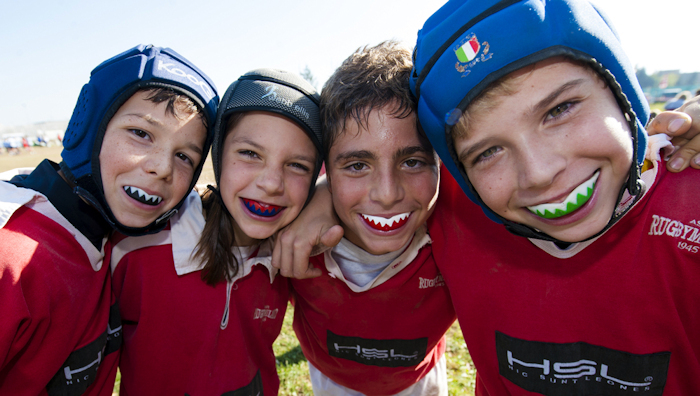 If mouthguards are so important, why do only 22% of children wear them when active? Ultimately it’s down to you, the parent, to make sure your child is as protected as possible when out on the sports field. If kids don’t put their safety first then it leaves the parent to make sure the shin pads are on, headgear is tight and the mouthguard is in. The older you get, the more expensive orthodontic treatment becomes, so it is paramount to educate your children on the benefits of sports safety and oral health. 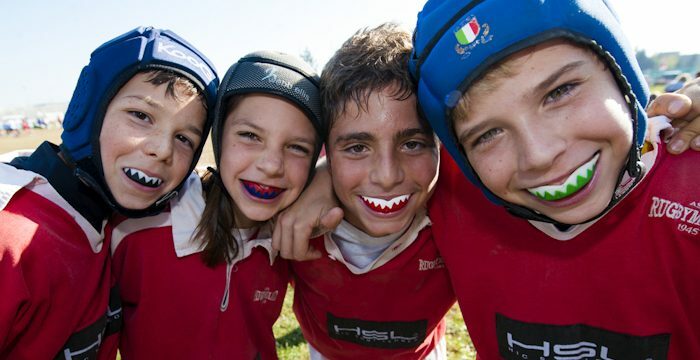 And with mouthguards coming in a range of fun and colourful designs, there is sure to be one that catches your kid’s eye and allows them to leave their orthodontic worries out of the game. Are your kids budding sports stars? Drop into Hampstead Orthodontic Practice in North London for a mouthguard fitting and more professional information on how to keep your child’s oral health on top form during sports season. 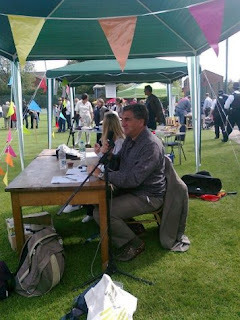 Will the Fawley Road leak ever be stopped? An Insight into: Rock Men’s Salon and Wired Co.